Farmers across Illinois are required by law to check in with the government in the coming weeks to provide certain information. Every five years, the USDA’s National Agricultural Statistics Service conducts a census of more than 3 million farmers in America. More than 600,000 were contacted already via email, roughly 20,000 in Illinois. The rest will be sent letters in the mail before Christmas. Federal law requires that farmers participate in the census. He advises farmers to be on the lookout for the emails and letters this week. If you’re technologically able, Schleusener suggests saving the tax dollars and completing it online. “When they respond online, they’re helping save taxpayer dollars,” he said. All data submitted will be kept anonymous. The census will ask about military service for the first time this year, in addition to the dozens of other characteristics they seek. Schleusener said this new statistic will aid the USDA in implementing programs that help veterans transition into a career in agriculture. One quirk from the 2012 Census: Illinois is the nation’s top producer of horseradish. 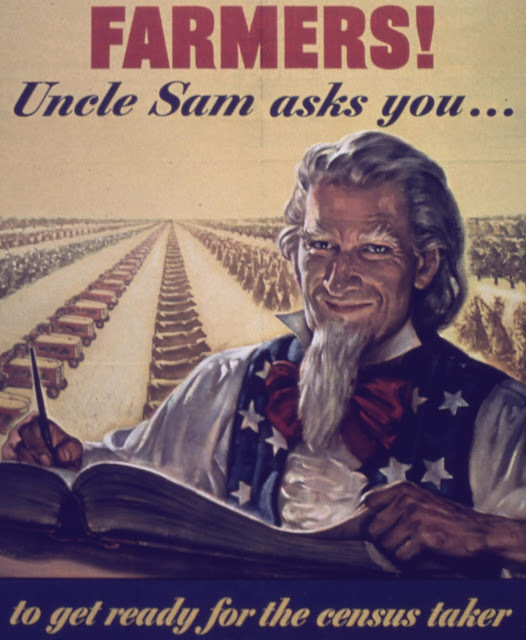 Farmers with questions can visit www.agcensus.usda.gov.